More than 700 young people in recovery from cancer will showcase the artistic talents of a 16-year-old Scottish leukaemia survivor next year after she won a national Musto competition in partnership with the Ellen MacArthur Cancer Trust. 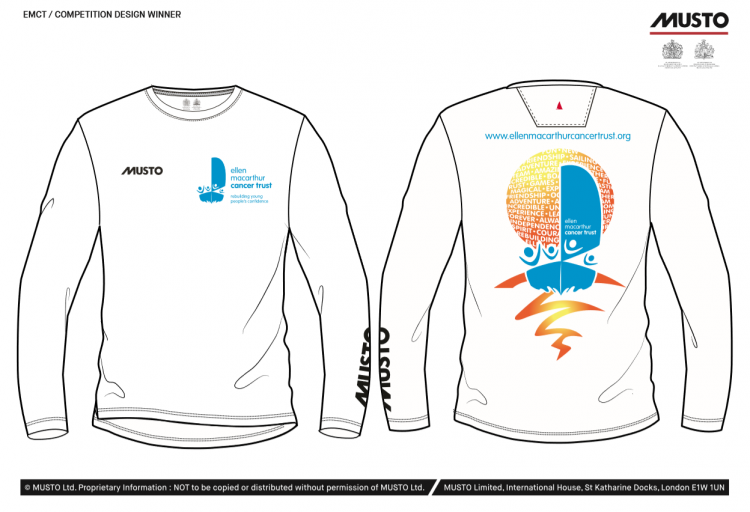 As the competition winner, Iona Sutherland’s design will be worn by everyone who goes sailing with the Trust in 2019. Musto, the leading technical clothing and accessories sailing brand, invited every young person who sailed with the Trust this summer to sum up what the charity means to them. Iona’s symbolic sketch of a yacht sailing into blazing sunset captures how young people can embrace their future and re-engage with life after cancer. Iona underwent almost a year of treatment for the rare Acute Undifferentiated Leukaemia at the Royal Hospital for Children, Glasgow in 2014-2015, and first sailed with the Trust in Largs the following summer. 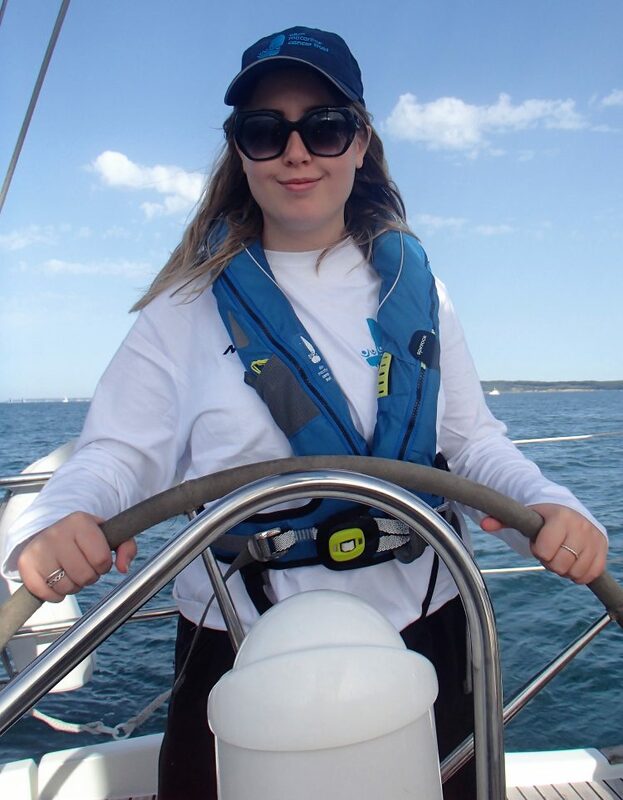 Having returned for a longer cruising trip on the South Coast this August, the Kinross teen hopes her design will help inspire hundreds of other young people in her situation to feel optimistic about their life after cancer. Iona said: “The trips made me feel like I wasn’t on my own. I don’t think you can really understand what it’s like to go through cancer unless you’ve been through it yourself. To be around people who had shared my experiences was really comforting. Musto has partnered with the Trust for its entire 15-year history, having been one of Dame Ellen MacArthur’s key supporters throughout her celebrated sailing career. Earlier this month (21 October) a team of runners from Musto, including new Global Brand Director Keith Taperell, helped raise funds for the Trust by taking part in the 10-mile Great South Run in Southsea. Keith said: “Musto’s enduring relationship with the Trust makes a genuine difference to the young people by providing them and the crew with technical gear that keeps them protected against the elements and allows them to focus on the all-important practice of having fun.